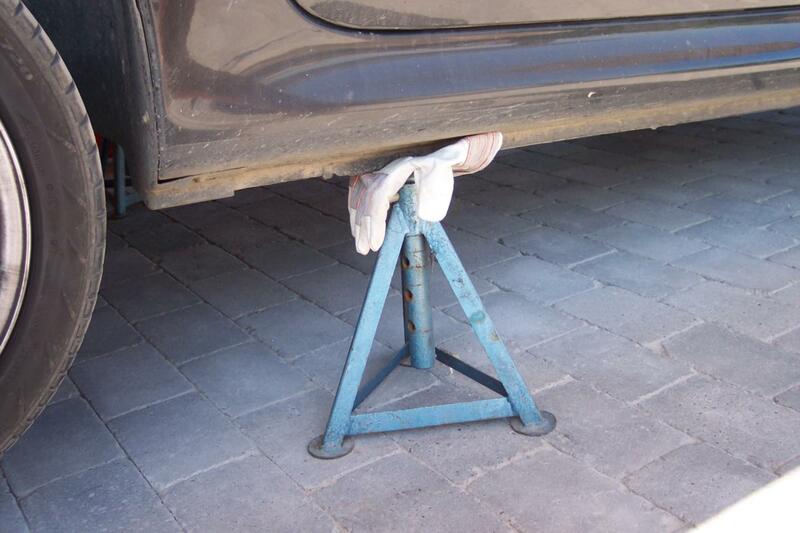 How to change the Gearbox Oil. 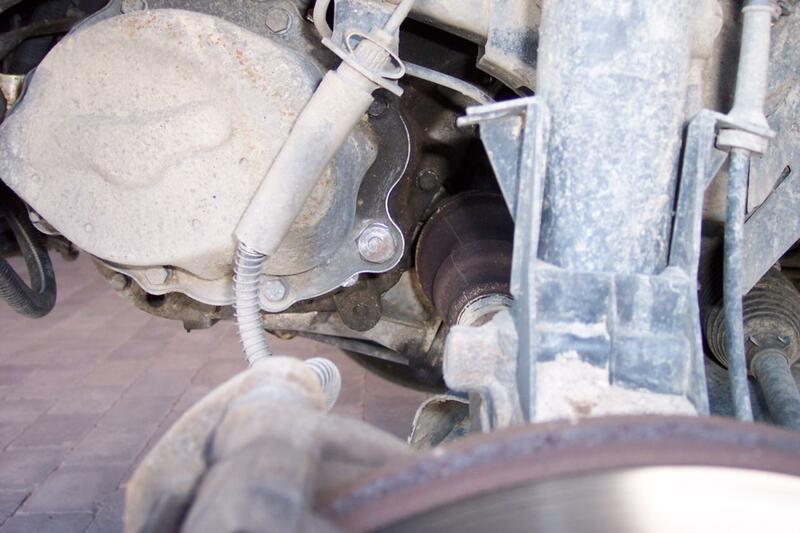 The following instructions are specifically about how to change the gearbox oil of any Peugeot or Citroën with a so-called BE4/5 gearbox, but generally all separately-fitted gearboxes from any type or brand can be refilled using the same procedure. Keep the manufacturer’s recommended oil type in mind though, since that’s not always the same. This is useful for people who want to go against the manufacturer’s recommendation of never changing it at all. You can ask your dealer to do it for you, but it’s not that hard at all to do yourself. 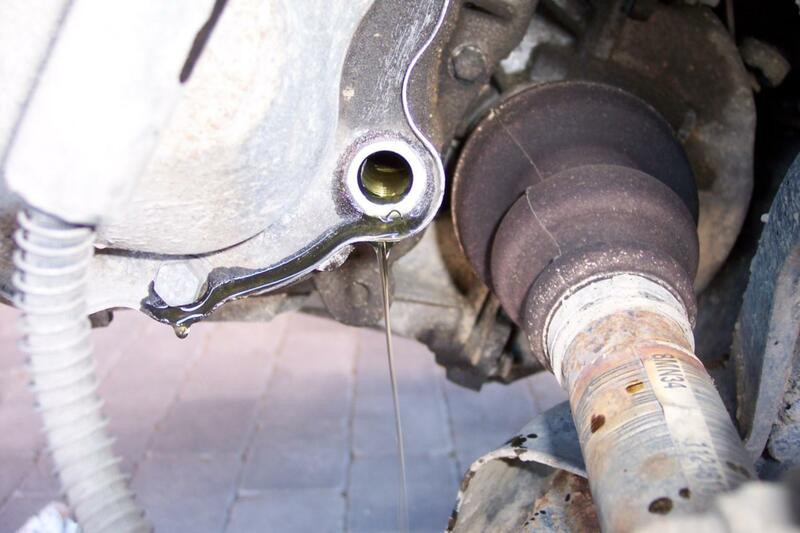 First something about gearbox oil, an extract from an article I’ve written before, called: "How to treat the Gearbox" (You'll need to be a subscriber, though). Do change your gearbox oil regularly. Very few manufacturers recommend an oil change for their gearboxes at all; they simply state that its oil will last for the car’s lifetime. Why this is I have no idea, because there’s always synchromesh wear, where the debris eats into the gasket seals; water can come in through its ventilation on the top, and there’s always the leakage along the drive axle’s seals and between gearbox half shells. 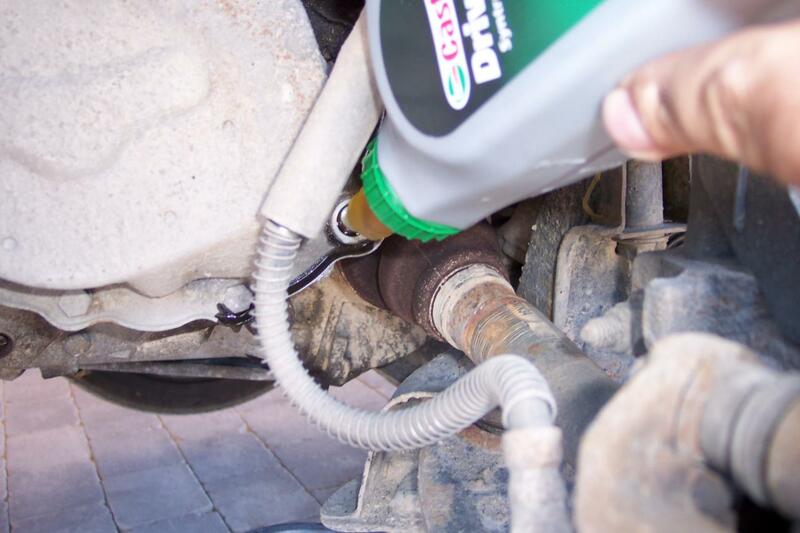 Leakage is the biggest gearbox killer, since there are only a few litres in there to begin with, and a leak of only a few drops a day over several years will be enough to prevent the gearbox from continuing to function properly. 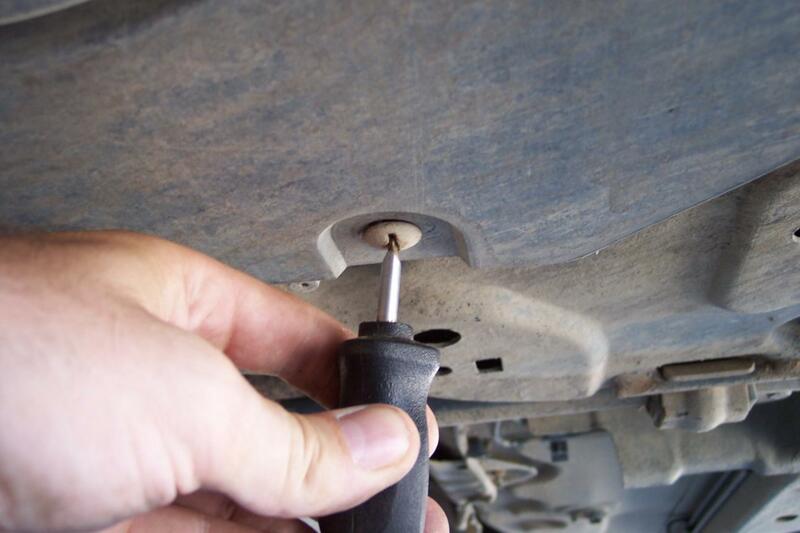 So, check the level -- or have it checked -- at every engine oil change. Don’t listen to the ‘sealed for life’ guarantees from the manufacturers, the professionals or people who think they know. 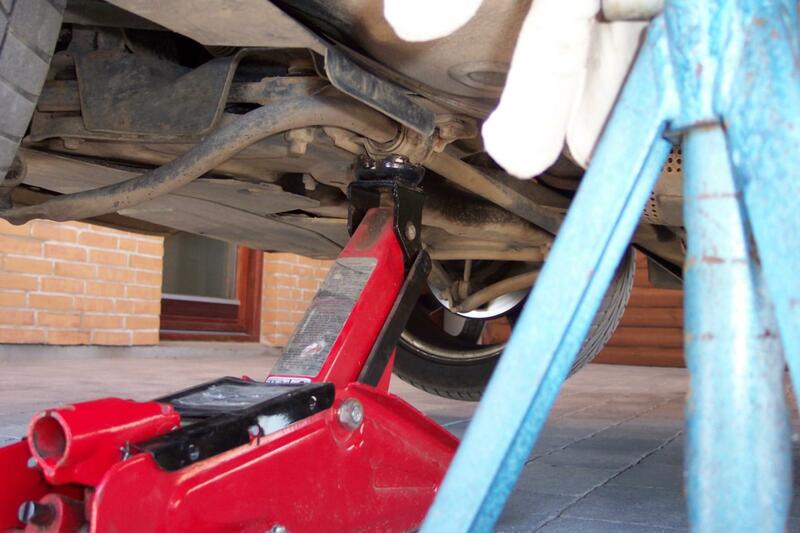 A gearbox oil change (which normally costs max $AU160 / €100 if done at the dealer) should be done every 60-100,000 km. Keep at least to the advised grade stated in the manual, but a known brand full-synthetic is better. Stick to the normal oil types, not the “friction reducing” crap. Same goes for add-ons: just don’t! 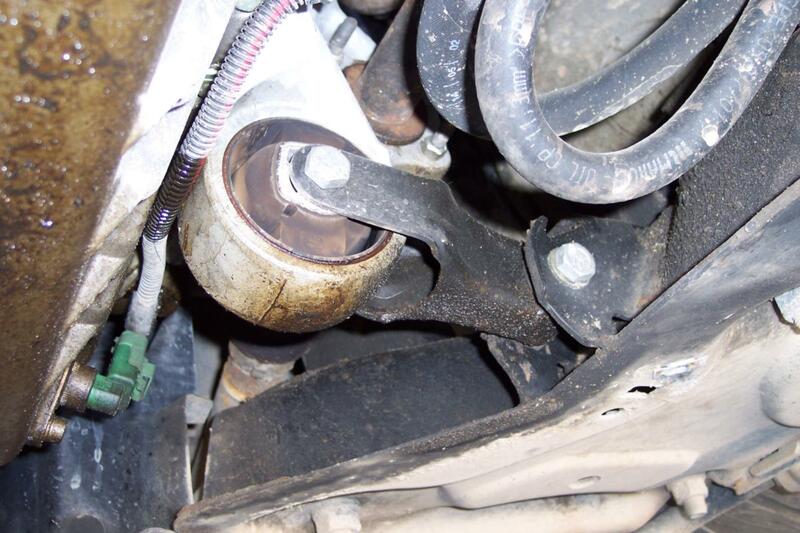 The PTFE used in (for example) Slick50 causes the metal debris to continuously float around in the oil instead of getting caught by the magnet fitted in every gearbox (which is either on the end of the drain plug, or fitted in the gearbox itself). Plus a worn box cannot be fixed by add-ons. It simply needs an overhaul. 1. Take a drive to warm up the gearbox oil to 60-70 degrees centigrade. This will let the oil drain out faster. 2. …and put stands (at both sides) under the “official” jack positions. Preferably put something between the stand and the car to avoid damage. Remove the jack. 3. 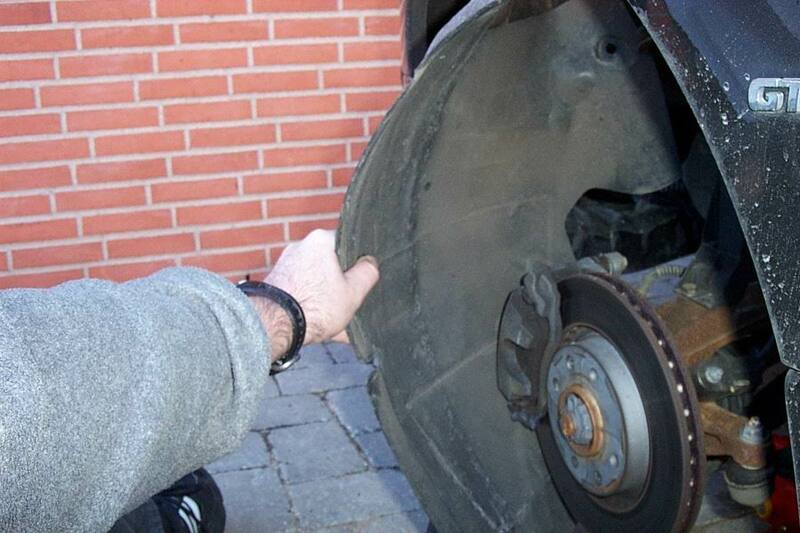 Remove the LHS wheel. 4. 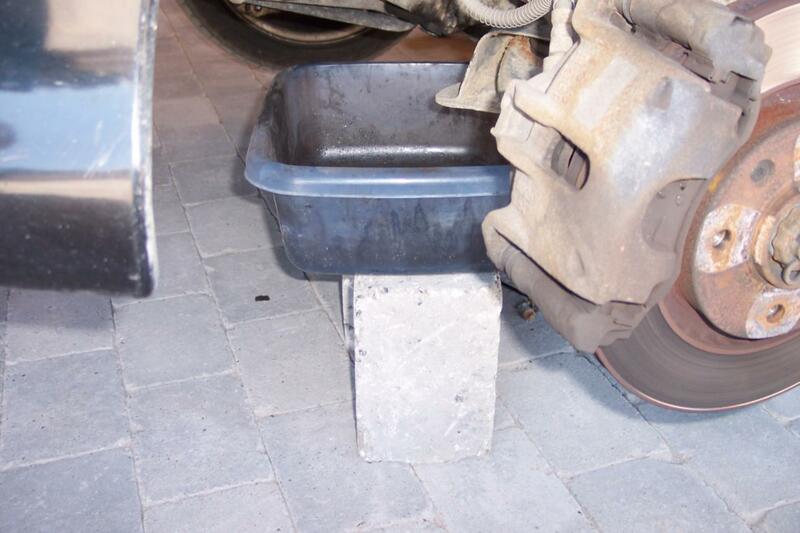 If the car’s not fitted with a plastic “sump guard” (a.k.a. noise cover) proceed to point 11. 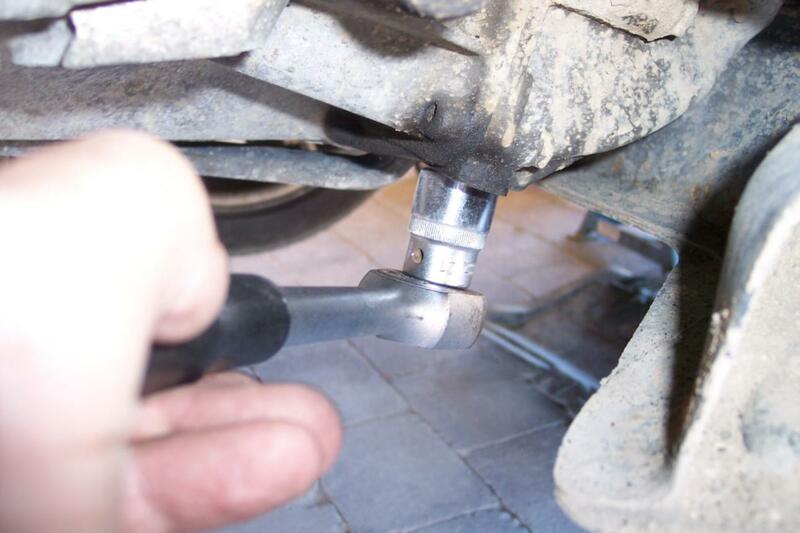 Otherwise, remove the sump guard by quarter-turning the 8 bolts out, unclip the guard from the front transverse beam and shove it away under the car. 6. 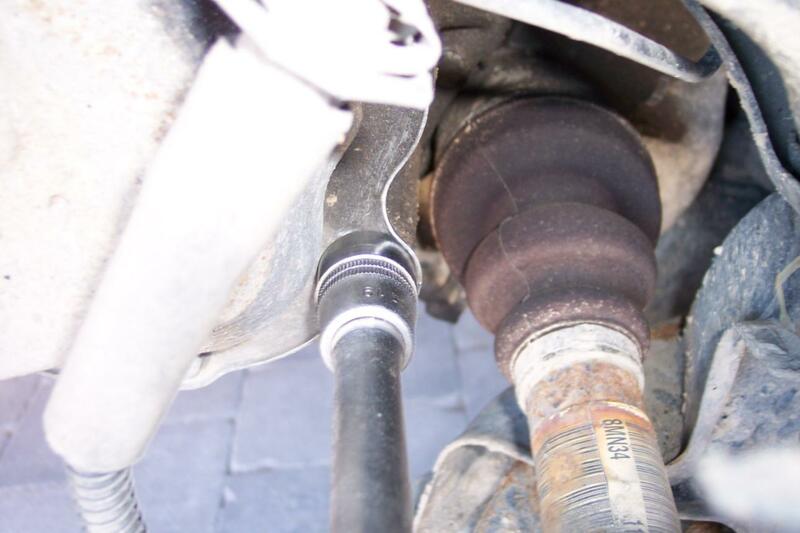 …and this is number two: on your side of the shock absorber. 8. …and the fourth one is at the corner of the front spoiler. 9. Take out the front half of the inner wing and be careful of your paint job while doing this! 10. 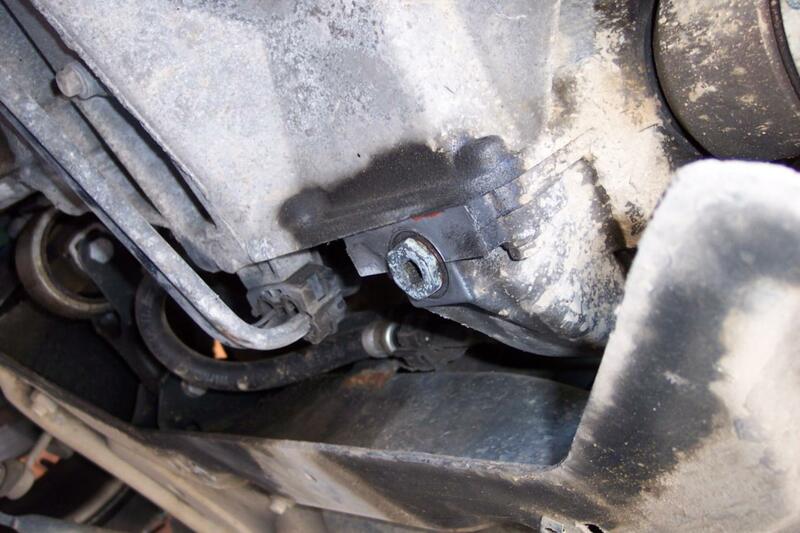 Now you have access to remove the sump guard’s LHS lining. It’s fixed with two M6 bolts. 11. 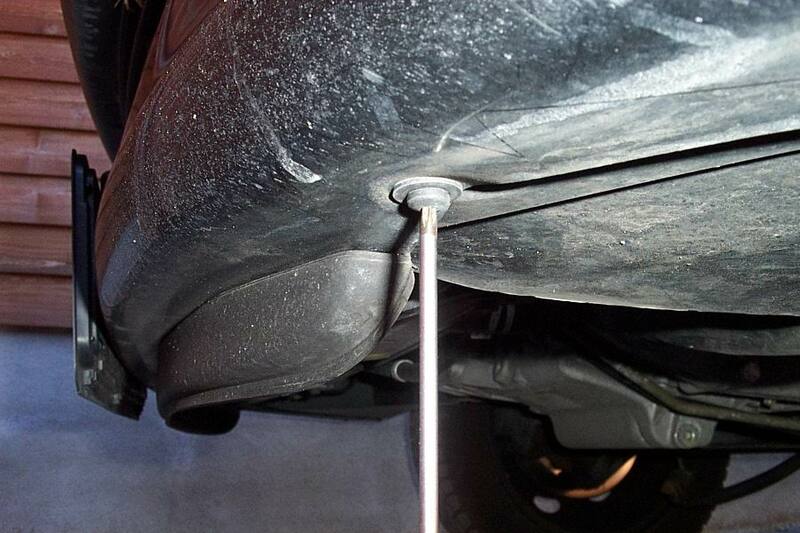 Note: While you have access under the car: check the rubber of the torque/reaction arm. If the rubber’s torn, you need a new rubber. 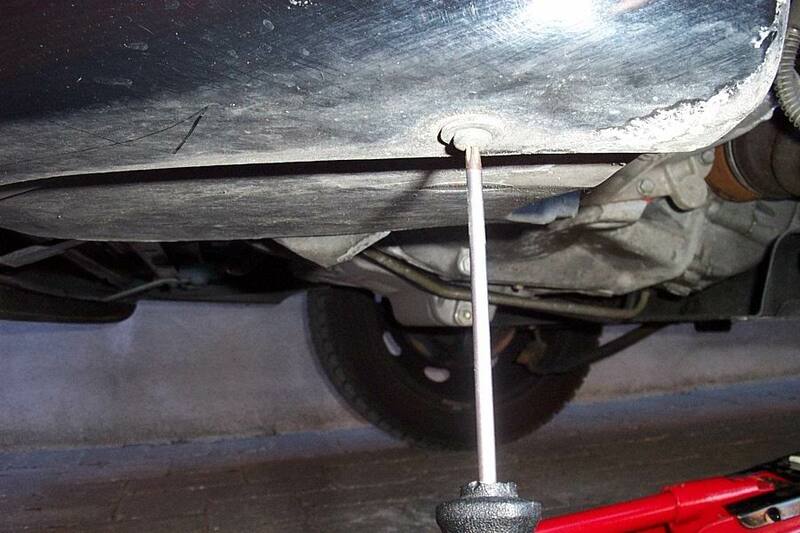 In order to replace that, the right drive axle needs to be taken out and you need to renew the gearbox oil *again*. Fix it before you continue, if necessary! 12. The plug covering the filler/level hole is situated just in front of the left drive axle (at dead centre in the middle of the picture). 13. Put a catch-tank or something that can contain at least 2L under the gearbox. If you want to avoid spillage; raise the catch-tank by whatever means you have available: gearbox oil has a tendency to fly around when it’s a bit windy! 14. 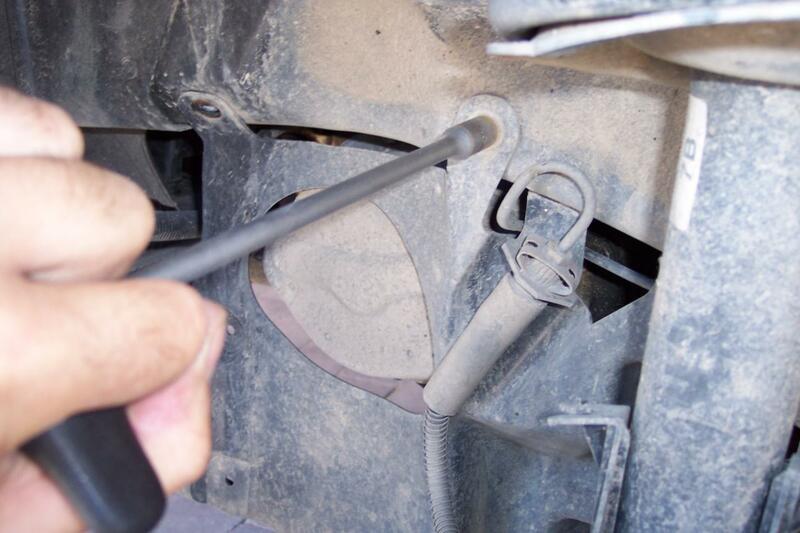 Clean the surroundings and remove the plug with a 19mm socket, including the alloy gasket. 15. 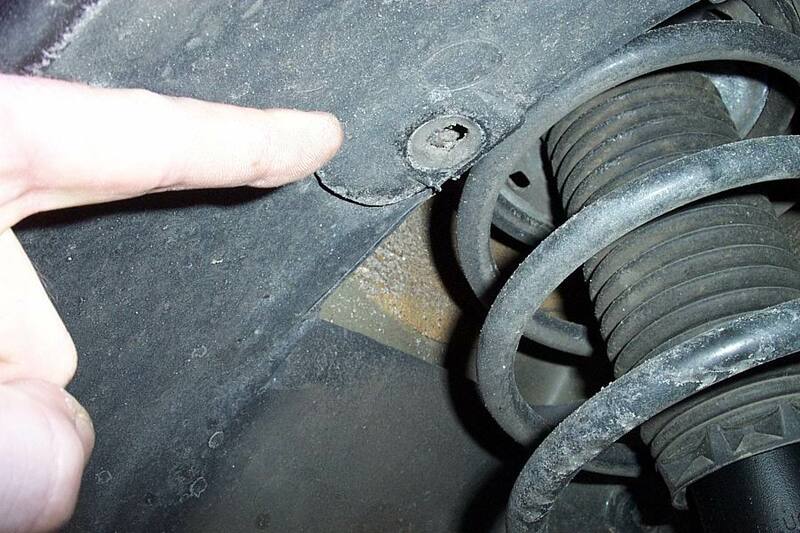 The gearbox’s drain plug is situated at the bottom of the half-shell of the differential housing. 2. 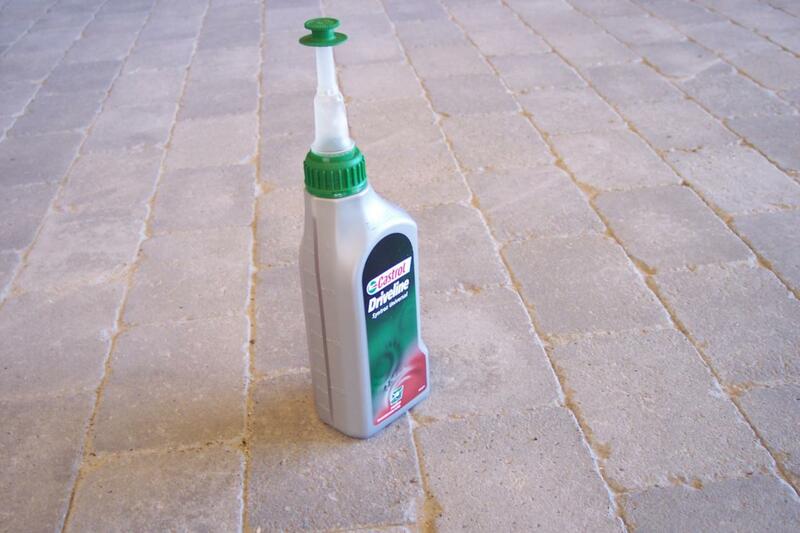 Buy gearbox oil that comes in a bottle like this, with a retractable extension pipe in the top. On very cold days, stand the two (1000cc) bottles in hot water for a while -- warm oil flows faster. 3. Stick the first bottle’s nose in the filler hole and squeeze it empty into the gearbox. Do the same with the second, but pull it out when there is still approx. 100cc left in the bottle. 4. The excess oil will eventually overflow from the filler hole, until it’s at the right level. The right oil level is at about 1.9L. 5. Refit everything else in reverse order and tighten the wheel bolts with 110Nm. 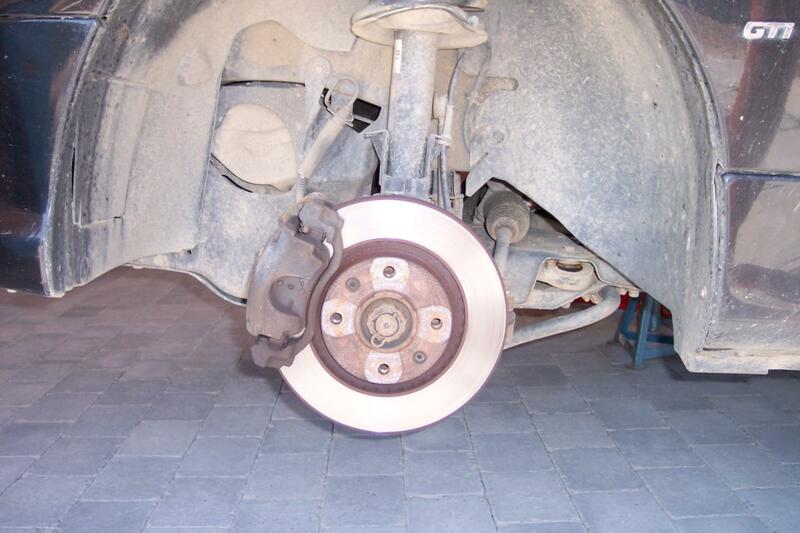 Remember to check for leaks after a few drives.